Pere-Lachaise is a famously beautiful cemetery tucked away in the northeastern part of Paris. It's kind of strange to find beauty in a cemetery, but when you first step in this massive maze, you quickly see why it is so hauntingly beautiful. Every grave site has something spectacular about it, whether it's the crafting of a statue or the small details in a name, these graves are truly a sight to see. One of my favorite moments in Paris was walking through the Pere-Lachaise and seeing all of beautiful grave monuments and amazing people that lye there today. 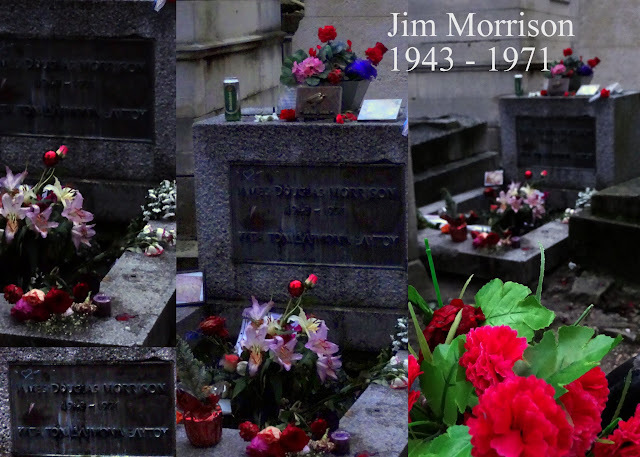 Some of my favorite people that are resting in peace (hopefully) in Pere-Lachaise include Jim Morrison, which I have a deep respect and love for his music and poetry, Frederic Chopin, one of my favorite piano composers, and Oscar Wilde, writer and poet. As you can tell, there are so many graves that I thought were just beautiful and mysterious. 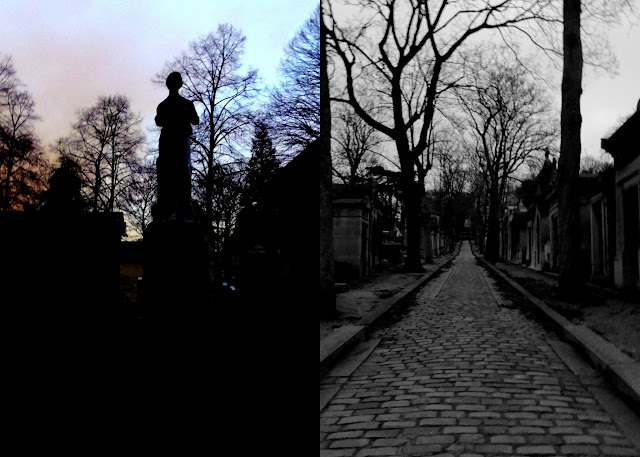 When mom and I stepped into Pere-Lachaise, it was still dark. Yeah a little creepy, but very fitting for the environment. We also made friends with a local Frenchman that does his daily walks through the cemetery. He showed us around to some of the graves that we didn't want to miss. Did I mention that Pere-Lachaise is over 100 acres, so truly seeing all of it would take weeks, in my opinion. Another neat experience was that an actual funeral was going on during our stroll in the cemetery and while mom and I were walking by, these women came over and gave us fresh crepes. It is tradition to bring food and to celebrate the dead. I think that is awesome. Another great adventure with my mom in Paris. If you are planning a visit to Paris, I would definitely put Pere-Lachaise at the top of the "Must See" list.